Immigration applications are always a stressful and emotionally draining experience especially under such a complex and ever changing area of law such as Human Rights. Westkin Assocaites’ immgration solicitors are here to assist you with your application and to provide you with support in what can be a difficult time. 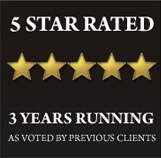 Our ethos of providing excellent customer service and to genuinely care for our clients means that not only will we help you to get the outcome that you want but that we provide moral support as we manage your case and application. On this page you will find a brief outline of Human Rights applications and legislation. 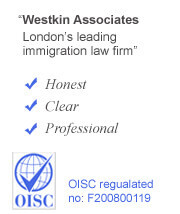 If you have any questions contact our immigration solicitors today on 0207 118 7868, via info@westkin.co.uk or by the Enquiry Box at the top of this page. There are many reasons why someone finds him or herself living in the UK without permission to do so, whether intentionally or as the result of matters out of his or her control. Whereas before each of the individuals finding themselves in this position would be able to apply for discretionary leave to remain in the United Kingdom on the basis of their own personal circumstances by usually citing cases from the UK courts or from the European Court of Human Rights regarding Article 8 of the European Convention of Human Rights (The right to respect for family and private life), since July 2012 the application process has drastically changed. In July 2012, the Secretary of State, to her own mind, incorporated the entirety of Article 8 into the Immigration Rules and therefore there were requirements to meet for discretionary leave to remain applications. At the present time, the courts are generally upholding the principle that it is only very exceptional circumstances that such a case can be considered outside the requirements of the immigration rules. Now an application can be made by a person without immigration status if they have a British or settled partner, British children, or children who are not British but who have lived in the UK for a continuous period of seven years or more. Where someone is ‘eligible’ under the immigration rules in one of these categories and where they meet the ‘suitability’ requirements regarding their personal character, they can apply within the UK without having to satisfy maintenance, accommodation or English language requirements if they are able to demonstrate that as a partner there would be ‘insurmountable obstacles’ (recently translated by the courts to mean removal would be ‘unduly harsh’). Where possible it would be advisable for the partner of a British or settled person in the UK who has no immigration status to leave the UK and apply from overseas to enter the UK under the regular spouse or civil partner requirements of the immigration rules since having overstayed is not in itself a grounds for refusal. An eligible parent of a British child or a child who has lived in the UK for more than seven years would have to prove that it would be ‘unreasonable’ for the child to leave the UK. For those who have lived in the UK for at least 20 years without immigration status, they can make an application under paragraph 276ADE of the Immigration rules. Children under 18 need to have spent at least seven years in the UK and those aged 18-25 need to have spent at least half of their life in the UK. This is how the Home Office have included the right to respect for private life protected by Article 8 of the European Convention of Human Rights. Those who have lived in the UK for less than 20 years can still apply, but they have to satisfy the Home Office that they have no family, social or cultural ties to their country of origin. The landscape of such human rights applications is forever changing and there is a constant need for remaining up-to-date and for being prepared to pursue cases beyond the application stage to the UK Immigration Chamber of the Tribunal Service or to the UK courts. Choose your immigration representative well, for poor representation can be costly. Human Rights cases and applications can be daunting and complex, we are here to assist you and help you to get the decision you want. If you have any questions relating to Human Rights contact our immigration solicitors today on 0207 118 7868, via email on info@westkin.co.uk or using the enquiry box at the top of this page.